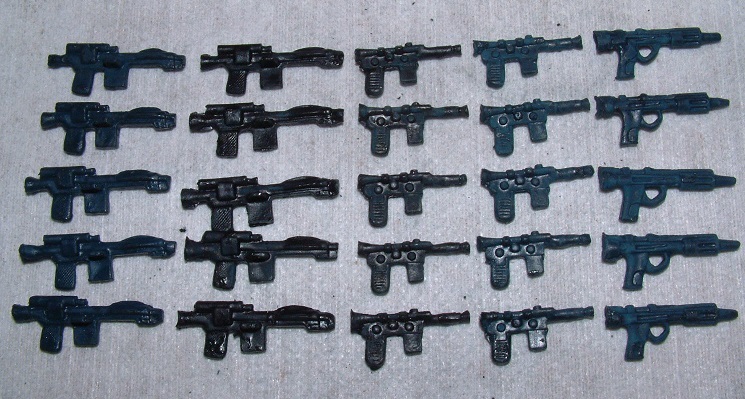 First reported in July 2015, these repros were advertised by the seller on eBay as "a cheap and cheerful alternative whilst you maybe source original weapons..."
The repros were sold in batches of 25 and 50. On close inspection these are not going to fool anyone as they are so poorly moulded. The blasters nearly all feature 'blobs' and an uneven and irregular matte surface texture. 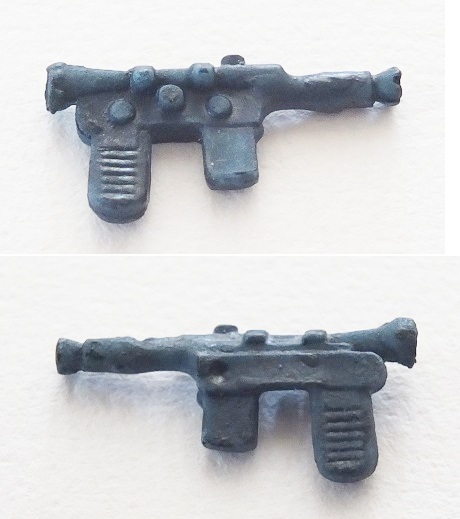 The Bespin and Rebel blaster are a dark blue colour while the Imperial blaster is much darker - almost black. 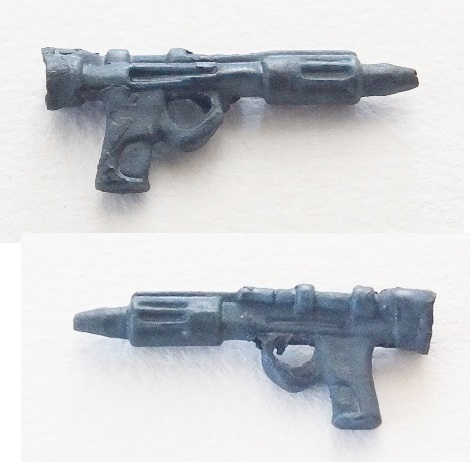 The blasters have no flexibilty and will break under pressure revealing a white inner plastic. 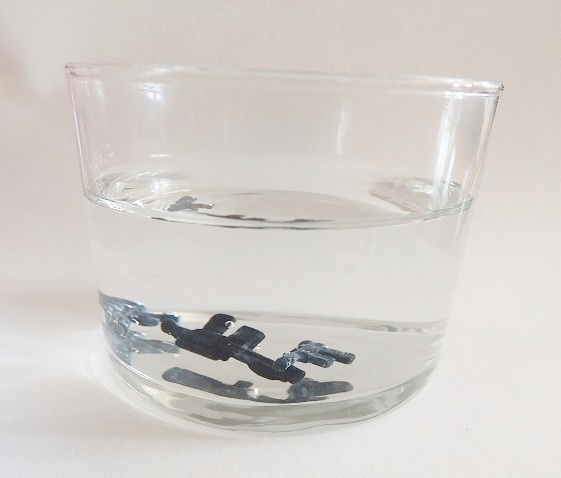 The blasters all fail the float test and will immediately sink when placed in water. Poorly moulded repros that won't fool anyone up close - but watch out for these placed in sub-standard auction photos. If in doubt always ask for close up pictures. Thanks for this. I'm sure these will spread like wildfire to sellers trying to pawn them off. Finally had a chance to read the report. Well done to all involved. I am a collector that has to have the real thing without question. Thanks for the heads up on these. I know most other collectors hate repros, but I have no problem with them. They serve a purpose. I have over 4,000 figures and buying vintage weapons for every one would be insane. So about 1,200 have repro weapons for now. I would rather they have something than nothing. 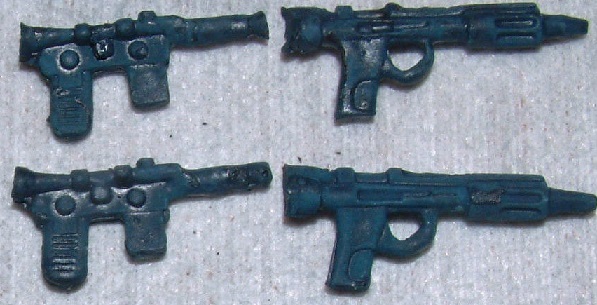 Also, repro weapons help keep the price of real vintage weapons from getting too out of control. It is all supply and demand. Repro weapons offer the casual collector a cheap alternative. Rather than spending $40 for a black Leia blaster (the current price on ebay as of August, 2016), they can get one for $2. That means one less person fighting for the limited number of original vintage Leia blasters. Otherwise, the price for a black Leia blaster would be well over $100. So every collector out there who is buying original vintage weapons and accessories should be thankful that repro weapons exist. 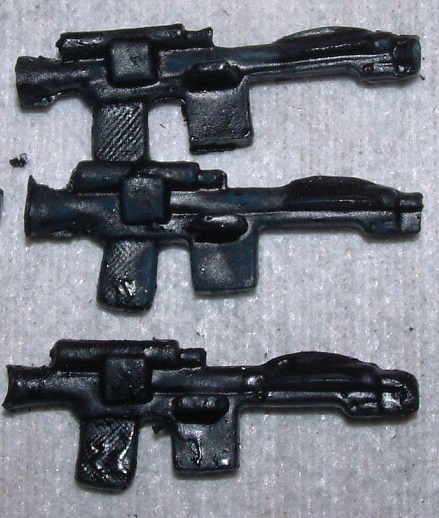 The only people who should be against repro weapons are the ones trying to rob us collectors blind by charging $20 for a Han smuggler pistol. They want to charge more, so of cource they are against a cheap alternative. That said, I am against fraud. I am against dealers trying to pass off repro weapons as a real ones. That isn't a problem with the repro weapons, but rather a problem with dishonest dealers. Of course they all then claim not to be an expert on the subject. 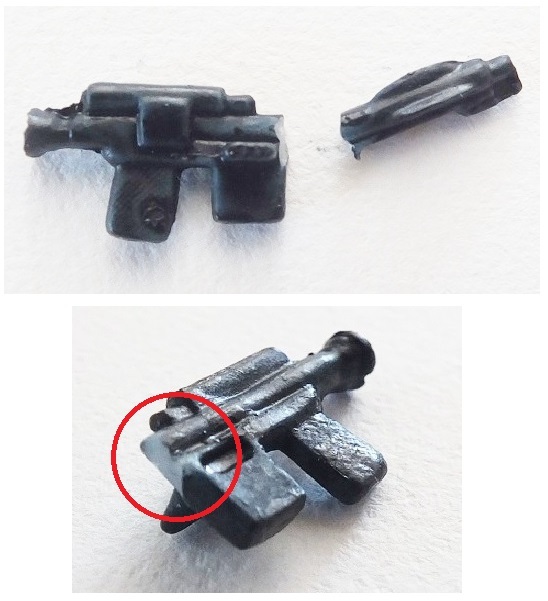 Even some of the biggest Star Wars dealers on ebay will try to pass off repro weapons as real and then claim they had no idea. That drives me insane. My one word of warning is "caveat emptor". Buyer beware. 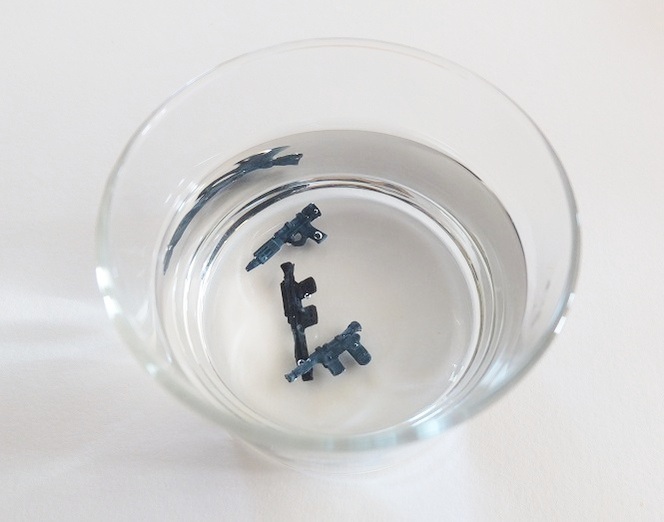 It is up to we, the collectors, to be able to spot fakes and not over spend for repro weapons. 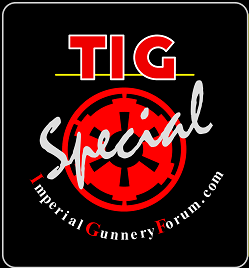 That's why I am so glad that sites like Imperial Gunnery exist to help fans. 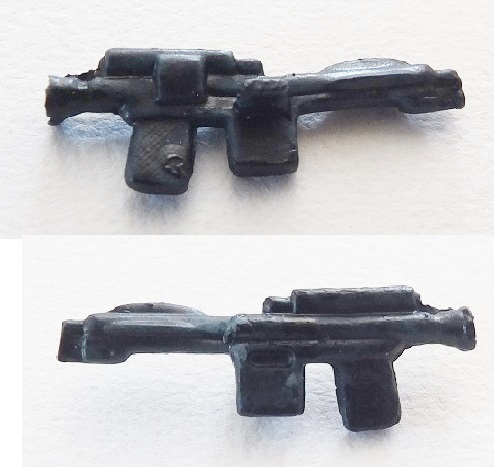 I to have no issue with repo weapons and have bought bulk packs of mixed weapons I do drill a hole into them but for me I use them for custom figures mainly.